lt;stronggt;DADL321202lt;/stronggt;lt;BR/gt;#624 Folding Fiberglass amp; Aluminum 2 Step Stool, Locking, 17w x 22 spread x 24hlt;BR/gt;For electricians, light institutional and frequent household use. Nonconductive fiberglass rails with aluminum top cap. 3 inch serrated steps and slip-resistant foot caps for safety. Pinch-resistant side locks. 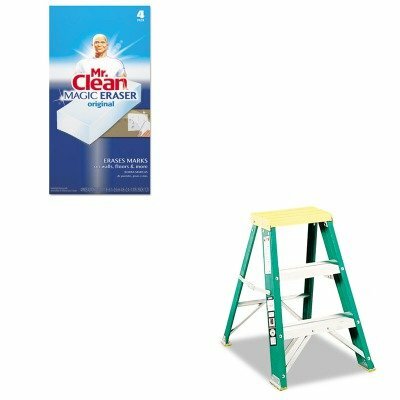 Number of Steps: 2 Step Stools Type: Folding Step Stool.lt;BR/gt;lt;BR/gt;lt;stronggt;PAG82027lt;/stronggt;lt;BR/gt;#624 Folding Fiberglass amp; Aluminum 2 Step Stool, Locking, 17w x 22 spread x 24hlt;BR/gt;Disposable, soft pads erase set-in dirt and grime quickly and easily. They remove scuff marks, dirt and tough crayon marks from floors, walls and doors. Safe to use no gloves or chemicals necessary. Application: Doors Floors Walls. If you have any questions about this product by Louisville, contact us by completing and submitting the form below. If you are looking for a specif part number, please include it with your message.